Win A Luxury Night Out To Watch Sunsuper Riverfire This Year! Every year we Brisbanites get our knickers in a twist about the closing night of Brisbane Festival: Riverfire! What to do on the closing night of the Brisbane Festival is a tricky one; the anticipation is thick with FOMO, and where to watch Sunsuper Riverfire is the burning question that we need answered asap! Remember the fun you had last year? Mingling with your fellow man in Southbank parklands, excitable broods of children and teenagers stepping on your feet, and every single freakishly tall person who lives this side of the border standing right in front of you. Not to mention that Southbank will be a 'dry-zone', folks—no alcohol of any kind, anywhere. If you were looking to sip on an expertly crafted cocktail or a chilled craft beer or two while craning your neck for a glimpse of the fireworks, that shant be done on the banks of the Brisbane river. Sad fact. Knowing where to watch Sunsuper Riverfire without merely pretending to have a good time is a doozy! To ease your social anxiety somewhat, kind folks from The Kitty are giving away a luxury package for you and five mates to watch the Sunsuper Riverfire in style! And by luxury we mean your own private booth, a waiter topping up your glass with Dom Perignon, and relishing in delicious canapés. 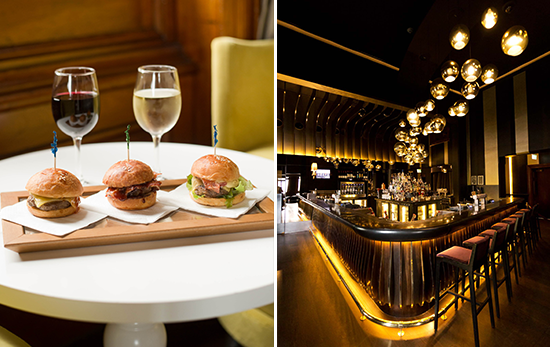 Nestled inside the historic Treasury Casino building, The Kitty is a world away form the hustle and bustle of the casino floor and throngs of commuters outside; with it's elegant bar, stylish seating, and some seriously flattering lighting, the space has been expertly designed to hold you a very willing captive. With stunning views of the river and Southbank as its backdrop, there are not many places in our fair city where you'll have such uninterrupted visual eye candy! Just a bit schmancy, with a touch of class and elegance, The Kitty is a location totally befitting a night of beautiful fireworks and celebration! The Kitty also has a late night licence, so you revellers can party on into the wee hours, long after the masses have trudged it home on the bus. Cheers to that! To go in the draw to win, simply jump onto The Urban List Facebook page and follow the instructions! Click here for your chance to win (entries close midnight on Sunday 21st September). TUL Note: Today's List Love post is proudly sponsored by The Kitty and endorsed by The Urban List. Our sponsored posts will never be a secret - the List Love seal will be stamped on any sponsored material you see on the site. Thank you for supporting the sponsors who make The Urban List possible.